What is Bright Chrome finish? 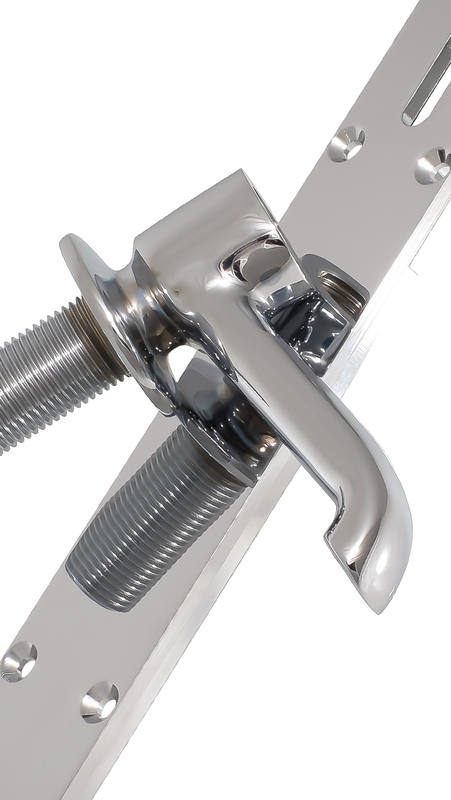 The bright chrome process is determined by the bright nickel coating underneath the final electroplated chromium film that prevents the underlying nickel from tarnishing. The bright chrome does not have the variance of shades like satin chrome it is just has one reflective finish. There are two different types of chromium plating in the market place one of these is hexavalent and the other is trivalent. The hexavalent process has been around for many years and is old technology that is also used for engineering purposes to build up dimensions, whereas the trivalent chemistry has been developed to improve the health and safety aspects with reference to the process. The initial bright trivalent chrome finishes were not compatible to the hexavalent ones but there has been significant improvement in the latter years and it is very difficult to distinguish one from another. Chrome plating is not only decorative; it can provide corrosion resistance, increase hardness and make cleaning the metal easier. 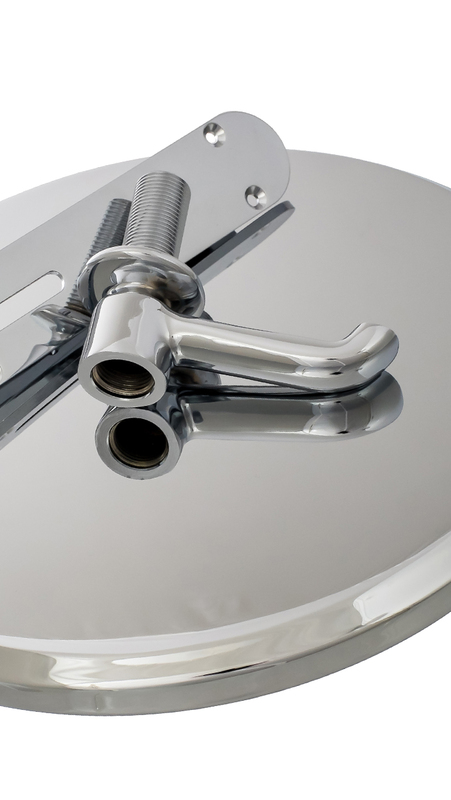 Here at Midland Polishing and Plating we can provide bright chrome finishes for a wide range of metal components and metal parts. 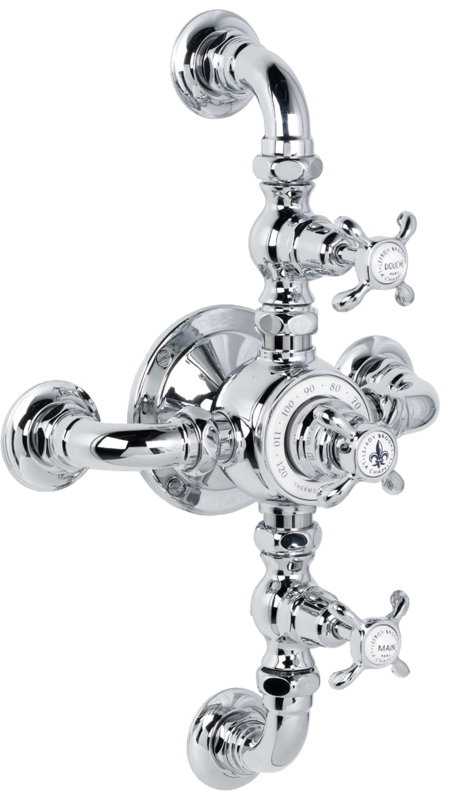 We have previously worked on various components including; electrical plug sockets, car parts, metal screws, bath taps and shower heads, beer pumps, and decorative items. Our high quality metal finishes are available on a whole range of metal substrates including; cast iron, zinc, aluminium, steel, brass and stainless steel. We are able to match the exact requirements of your order and our expert knowledge enables us to give professional advice. Our large workshop in Wolverhampton is well appointed with updated equipment and we keep ourselves aware of the latest technologies. Bright Chrome is another finish available from Midland Polishing and Plating Ltd. We have a great reputation within the metalwork industry, based on our extensive experience and fantastic customer service. For expert advice and further information please call +44 (0)1902 421 174 or contact us via filling our quick enquiry form.